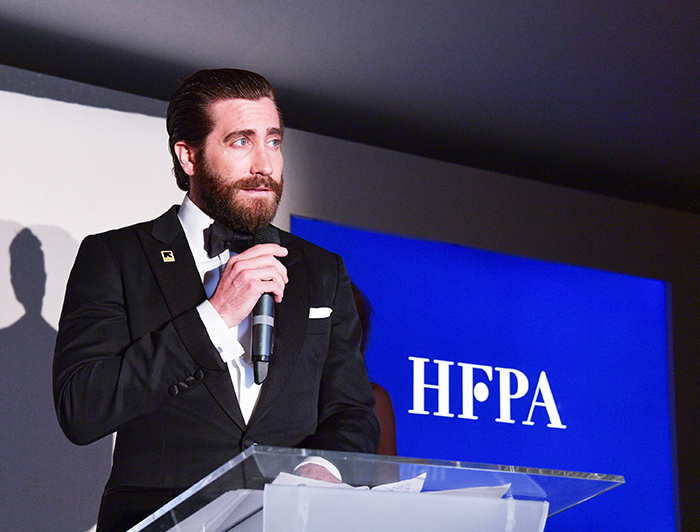 AS the sun set in a sea of pink and lilac clouds over the rippling bay at Cannes, the Hollywood Foreign Press Association (HFPA) hosted their annual philanthropic benefit at Nikki Beach across the Croisette from the Carlton Hotel. This year, the event was held for the International Rescue Committee (IRC), a nonprofit organisation giving aid to humanitarian crises worldwide and helping people effected by conflict and disaster to rebuild their lives. 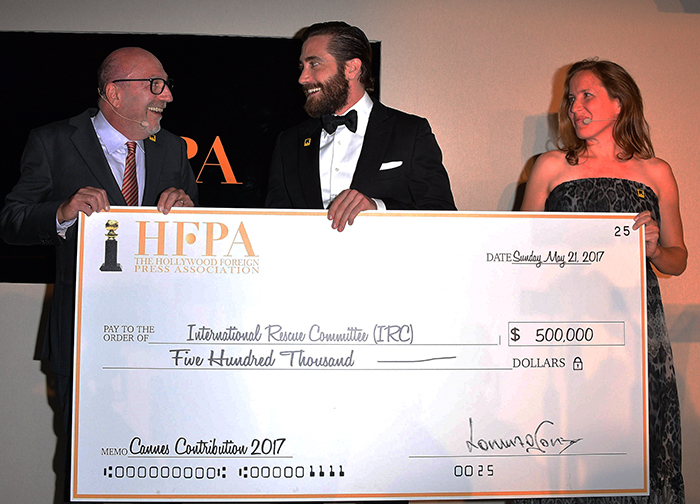 The press association donated $500,000, with actor Jake Gyllenhaal accepting the donation on behalf of the IRC. Under the evening's twilight sky, the water lapping the sandy beach, the crowd of lively high profile actors, directors and producers gathered to hear the press association's president Lorenzo Soria talking about the work of the International Rescue Committee. 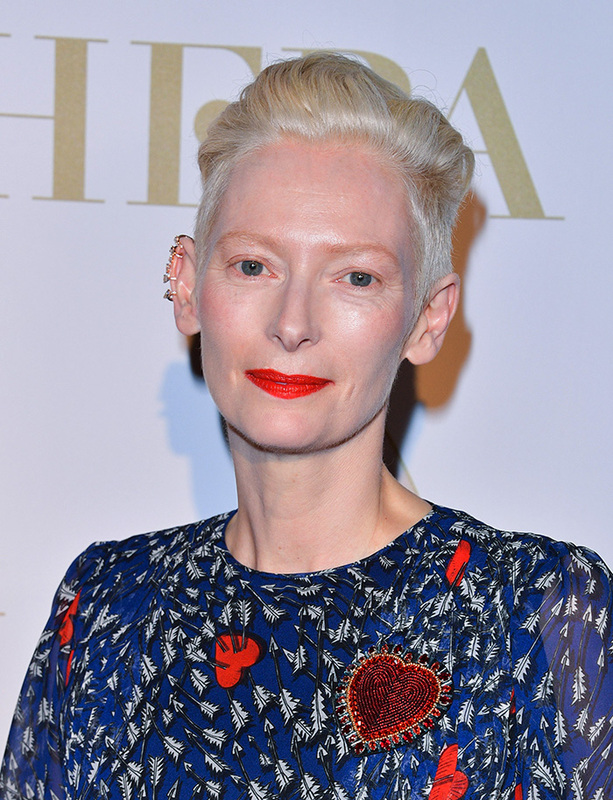 Tilda Swinton, co-starring with Gyllenhal and Lily Collins in the new film Okja, said she believes we need to know people can rely on each other in times of need. "Its so important that people know we can trust each other," she said. "There is a lot spoken these days about how different we all are, the truth is we are much more alike that we are different. And the more we can remind people that we can look after one another and that our innate dignity is dependent on us treating each other with dignity the better." 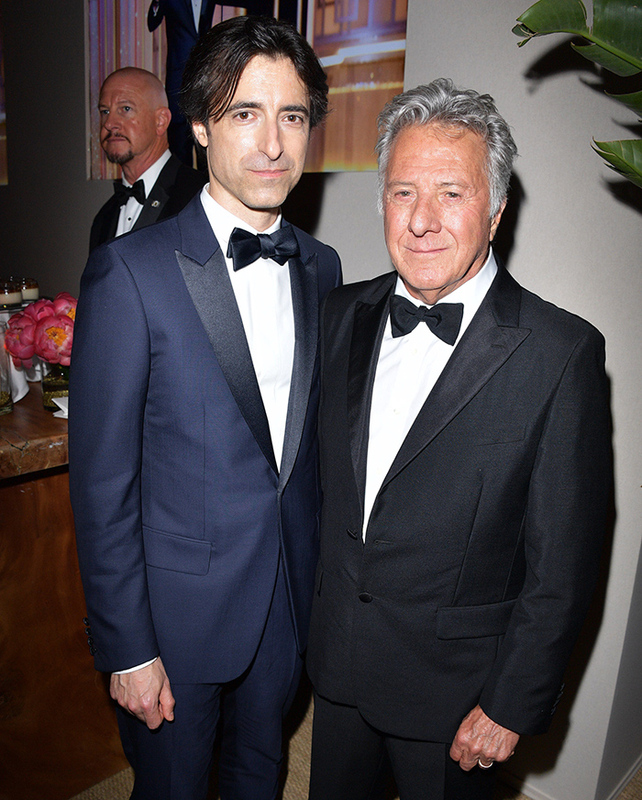 Dustin Hoffman in dapper black tie said he felt quite emotional at the event as his own parents were immigrants from Eastern Europe. 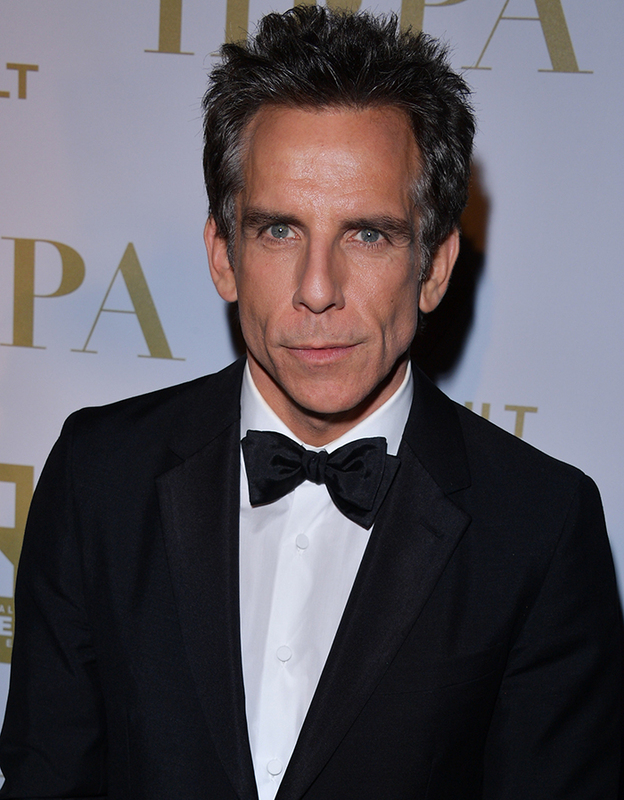 The actor had just come from the Grand Theatre where he received an ovation for his work on American director Noah Baumbach’s new movie The Meyerowitz Stories with co-stars Ben Stiller, Adam Sandler and Emma Thompson. The comedy follows a Jewish family and their eccentricities, successes and failures while living in New York City. Greta Gerwig, Baumbach's partner, said she thinks its important that actors and others in the industry bring attention to humanitarian issues. “Its amazing how the Hollywood Foreign Press Association giving so generously to this crisis," she says. "It's part of the responsibility of artists and those who support them to draw the worlds attention to crises that need help." Many of the actors gathered among the white cushions and banquettes overlooking the beach were not only there to support the International Relief Committee but took the opportunity to see friends and colleagues and catch up about their new films launched at Cannes. They enjoyed a special menu created for the event by the Nikki Beach Chef Alessandro that included Tartare de Saumon Asiatique, Brochette au Poulet, Éclair au Chocolat, Savarin Chantilly and Perrier Jouët served a special champagne cocktail with fresh fruit. As much as the guests enjoyed the seaside locale, the reason for the gathering was not far from people's thoughts. The Hollywood Foreign Press Association's fete for the International Rescue Committee is the latest in a long history of nonprofit organisations that have benefited from contributions that today approaches $30 million. The press association's president Lorenzo Soria commented that the HFPA has donated to organisations ranging from Martin Scorsese’s Film Foundation which preserves historic films, scholarships for private and public universities and programs for underrepresented students from around the world with a passion for the arts.